There is nothing Americans love more than complaining about things that they know nothing about. Thus, the Oscars are a complainer’s paradise. Yes, the Oscars are just an awards show, and not the end of the world. But scoring a nomination is actually important. For example, if Jennifer Aninston scored a nod for Cake, maybe we would finally be able to see it. Seriously, I don’t know a single non-critic who has seen the movie. I don’t even think Jennifer Aniston has seen it. But at the end of the day, it’s a hunk of shiny medal shaped like a naked bald dude holding a sword. There is also the disparity between what deserves an Oscar and what will actually win an Oscar. A lot of films that win Best Picture are forgotten years later. For instance, let’s look at 2004. Million Dollar Baby won that year. I would argue that the most influential and memorable film of that year is Mean Girls. That is the one that everybody still watches and quotes, but of course it wasn’t nominated for any Oscars. It is not an Oscar movie; it is the kind of movie that people dedicate Tumblr accounts to. When deciding what I think the biggest snubs were, I took into account both what I wish was nominated, and what would actually make sense as a nomination. Yesterday, I talked about which nominations made me happy. Today, I discuss which snubs make me sad. Cue the anger! 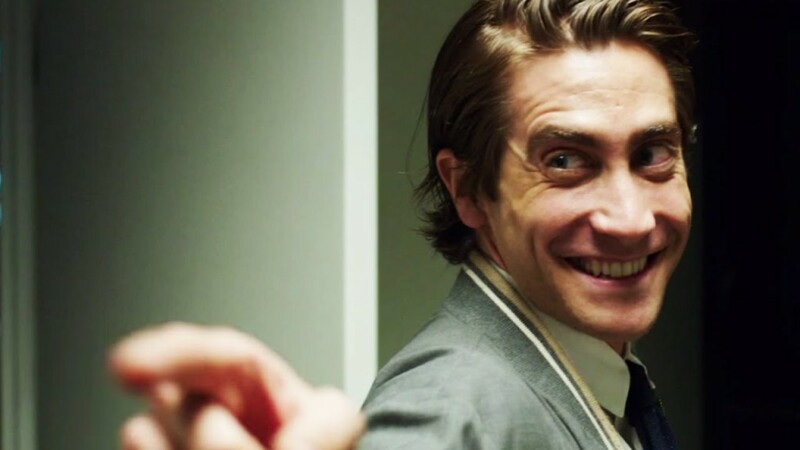 It is insanity that Gyllenhaal wasn’t nominated. Does the Academy hate weirdos or something? As the frighteningly ambitious Lou Bloom, Gyllenhaal created a sociopath as memorable as Norman Bates and Patrick Bateman. His performance is so physical: just look at his eyes; it looks like they were clamped open Clockwork Orange style and he never learned to shut them again. There are probably thousands of Lou Blooms out there who’s view of the world is crafted by internet comments and self-help books rather than actual life experience. Oscar voters have never understood how difficult comedy is. In his performance as Gustave, Fiennes had to be silly and effete one moment, and martyr for the cause of humanity the next. He works his magic on you in an almost invisible way; you won’t realize how much you cared about his character until the very end. This performance is so unique because nobody else could have played it. Had Gustave been played by a different actor, he would have been insanely flat as Mortdecai. I am only saying this because both characters have mustaches. That’s enough for a comparison for me. Sure, Flynn had something of an unfair advantage, given that she was adapting her own book to the screen. But the fact that her story worked so well with very few changes (at least from what I have heard) is a testament to the power of her writing. Besides the brilliant twists and turns, the most genius part about this script was that it made it impossible to root for anybody. This is moral ambiguity done right. I kind of snubbed Life Itself as well. I never wrote a review of it, and I neglected to include it in my year end list. This riveting documentary on the life of Roger Ebert was the definition of warts and all. We see his arrogance in his fights with Gene Siskel, and we even watch a feeding tube get shoved into his neck when he is hospitalized. This is a thorough celebration of a man who was both populist and elitist, and who completely changed film criticism forever. If you didn’t cry at the end of this, then you might be a sociopath. I will credit this snub to the fact that voters probably hate film critics. When J.J. Abrams announced that “Everything Is Awesome” was among the Best Original Song nominees, people gasped. When The Lego Movie did not appear amongst the Best Animated Feature nominees, a million angry voices shouted, “everything is not awesome!” If commercial success can’t get you anywhere at an awards show, than creativity should. If you still doubt The Lego Movie is any good, than just realize that people are angry that a movie based on a toy wasn’t nominated for an Oscar. What a crazy world we live in. The most talked about snub of the year has been of Selma. Now, Selma was nominated for the big prize, but the fact that it was left out of most of the other major categories is confounding. I do not want to charge the Academy with racism, even though their lack of diversity does not look good for them. The real issue for me is that David Oyelowo deserved some recognition for his incredible performance, which was beyond mere imitation. Plus, Ava Duvernay deserves credit for elegantly directing such challenging material. If you want to know more about why Selma got the cold shoulder, read this intelligent and level-headed piece over on Grantland. I have a feeling that the Academy didn’t take Snowpiercer as seriously as it should have because, well, it is a summer blockbuster. Don’t be so pretentious, guys. I still think of Tilda Swinton’s creepy and hilarious bureaucrat who is basically Kim Jong-un with a Scottish accent. It is like watching your weird aunt go on a power trip. Swinton might not have been nominated this year, but this character will be remembered for years to come. This entry was posted in Uncategorized and tagged Academy Awards, Awards, Jake Gyllenhaal, Oscar Snubs, Oscars, Roger Ebert, Selma, Snowpiercer, Snubs, The Lego Movie on January 16, 2015 by ian0592.